A local club has been overwhelmed by the international interest in what they do and are looking forward to being the focus of a musical documentary. Katie Williams, Kiwi Coffin Club founder and member co-ordinator, said the club had been operating in Rotorua since 2010, and was now getting inquiries from all over the world. The club helps people make DIY coffins with the aim of helping people feel in control to the end and show who the people were as individuals, she said. There are also clubs set up in Katikati, Waitakere and Hawke’s Bay. She said the club had inquiries from Russia, the Czech Republic, France, the Netherlands, Germany and the United States of America – “all over the show”. Some were keen to start it up themselves while others just showed an interest, she said. Mrs Williams said the club had done interviews for the BBC and the Australian Broadcasting Corporation and were featured in an article in the United Kingdom’s The Guardian. Now, a musical-based documentary is being made on the club. Loading Docs is a documentary initiative, with the support of principal funder New Zealand On Air, along with the New Zealand Film Commission and Te Mangai Paho, which helps fund, create and distribute ten films a year. The Coffin Club are one of the recipients of this funding from Loading Docs. They had their first singing rehearsal last week, and the Auckland company came down and recorded it, Mrs Williams said. She said, as far as she knew, the documentary would be made in May and ready for distribution in June. It’s not the first time the club has featured in a documentary, previously being filmed by a Japanese film crew. Club member Raewynne Latemore said the interest the club had received was “mind blowing” and it was lovely to see others interested in doing the same for themselves. She said it would be interesting to see what the Auckland film crew came up with for the documentary. 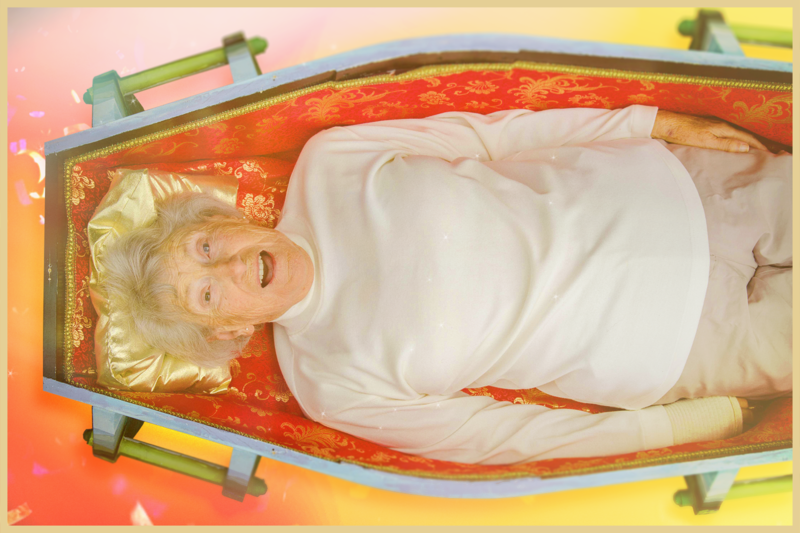 Coffin Club is a joyful celebration of living – and ending – life well. 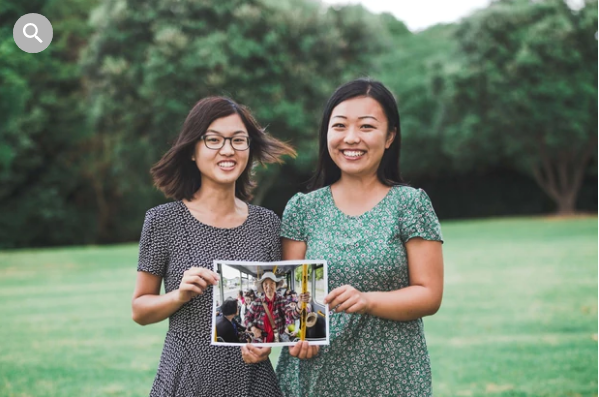 Film maker and theatre producer Julie Zhu may not speak much Mandarin, but understanding enough of the language to “eavesdrop” during long bus journeys has seen her come up with a unique concept for a documentary short film. East Meets East follows Zhu’s 79-year-old grandmother, Fang Ruzhen, as she makes new friends during her weekly bus trips to East Auckland’s Asian supermarkets. Zhu first noticed elderly Chinese immigrants building a new community for themselves when she caught buses from East Auckland into the city during her university days. Directed by Zhu and produced by Tema Pua, East Meets East is one of ten documentary short films selected for this year’s Loading Docs film project. Loading Docs, which started in 2014, helps develop New Zealand film-makers by matching them with mentors to make three minute long films which will “captivate and inspire” audiences. This year’s theme is diversity and Zhu says East Meets East fits perfectly because it explores issues of relevance to Chinese migrants as well as the elderly. “Stories about immigrant experiences usually follow a young characters’ journey into Western culture and focus on the battle between their home and Western cultures. I wanted to make a film that moved away from that because when we celebrate diversity, we should celebrate the different peoples found within groups. She says like her grandparents, many elderly Chinese people come to New Zealand to help care for their grandchildren while their adult children work. Because they migrate in their 60s, 70s, or 80s, it’s almost impossible for them to pick up a new language or try to assimilate in the usual ways. Born in China and raised in Auckland, Zhu’s already written and directed several short films. She was the director of photography on The Spectacular Imagination of the Pōhara Brothers, which screened at the NZ International Film Festival 2016 and several indigenous film festivals around the world. New Zealand is well-known for making great documentaries – we like real-life stories it seems. But they do occasionally tend to ramble. That’s not the case of our preeminent documentary initiative, the crowd-funded Loading Docs project. This year’s ultra-short documentaries have to say what they’ve got to say in less time than a pop single – around three minutes. Simon Morris talks to two prospective film-makers, Ursula Williams – Now and Then – and Michael Weatherall – My Dog Ajax, and to the Project Manager, Nia Phipps. 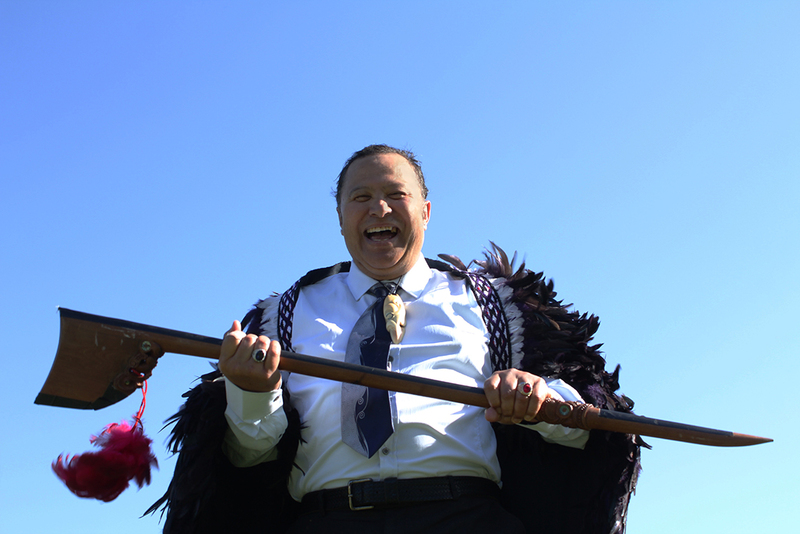 Loading Docs is funded by New Zealand On Air, with support from the NZ Film Commission and Te Mangai Paho.